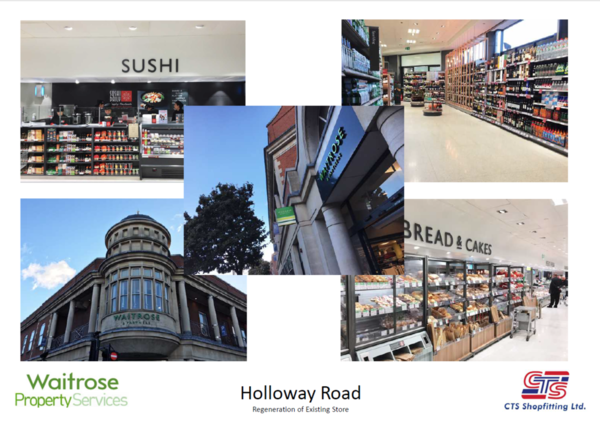 Today CTS handed over Waitrose & Partners Holloway Road, London. The 5 week Branch Regeneration scheme included new serving counters -Sushi, Cheese and deli, meat and fish, bakery and a new self-serve bakery, Internal and external decorations rebrand, new refrigeration plant and a whole new frozen department. The branch manager was very complimentary on the schemes delivery. Thank you to all involved – another fantastic project for Waitrose and Partners.